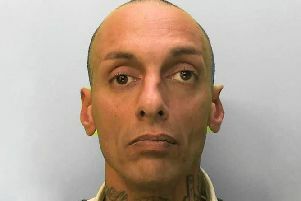 A man caught in possession of stolen Christmas presents in Chichester has been jailed, according to Sussex Police. Police said Edward Butler, 44, was spotted by officers driving dangerously along Sheepwash Lane, Lavant, on Wednesday December 12. A spokesman added: "Officers pursed the vehicle into Chalkpit Lane and Butler was arrested. "Butler of Tangley Walk, Havant, was arrested and charged with three counts of receiving stolen goods, theft from a motor vehicle, dangerous driving, failing to stop and driving without insurance." Police said Butler was remanded in custody and appeared at Portsmouth Crown Court on Friday (January 11), where he was convicted on all accounts and given a 12 month custodial sentence and banned from driving for two years. Chief inspector Kris Ottery said: “Butler was a district target for us as he had links to Operation Mini, which relates to vehicle break-ins across Arun and Chichester. “We welcome the sentence imposed on Butler and hope it sends out a clear message to the public of how serious we treat matters like this.